During the first quarter, Dykema closed 14 transactions with an average deal size of $23,000,000, representing the buyer in all but one transaction. 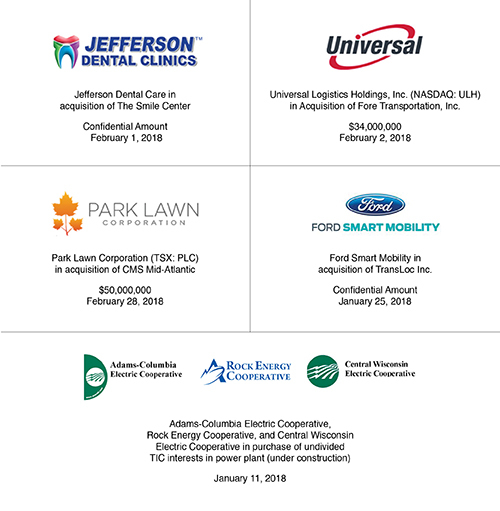 The industries involved were diverse, including energy, automotive, logistics, death care, dental service organizations, home improvement and insurance. Below are details for some of these transactions.